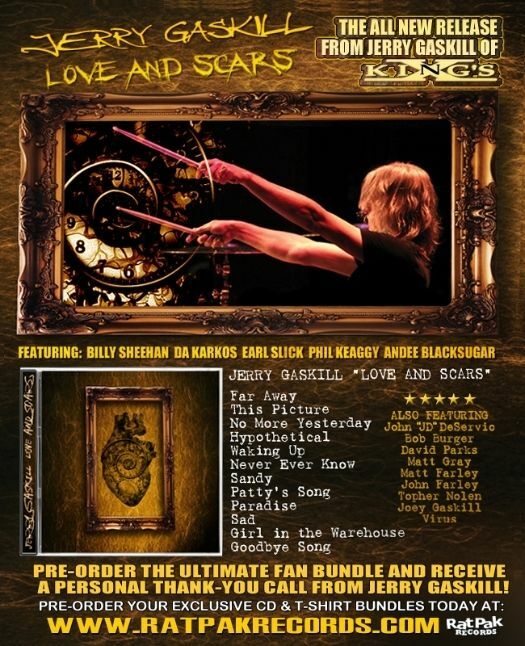 Jerry Gaskill will be known to most rock fans as the drummer for iconic US rockers King’s X; however he has just released his latest solo album entitled “Love & Scars” through Rat Pak Records. There have been a few fairly traumatic years for Jerry, with two heart attacks, double bypass surgery and the loss of his home to Superstorm Sandy all hitting in the space of 30 months from February 2012. 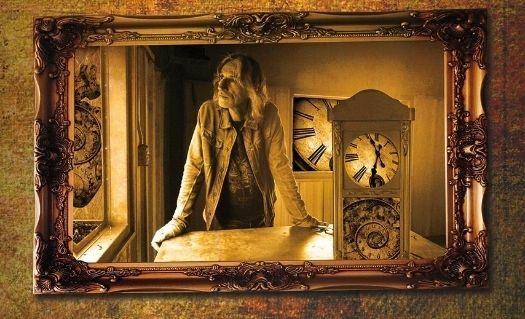 Thankfully, he has made a full recovery, is now back with King’s X and has completed his second solo album, working with a long list of guest musicians. Jerry was good enough to answer a few questions that we sent through to him; telling us a little about the new album, upcoming plans with King’s X, potential projects for the future and more. NI ROCKS – Hi Jerry, thanks very much for taking some time to answer a few questions for Rock Radio NI. You’ve just released your second solo album entitled “Love & Scars” through Rat Pak Records. A lot has happened on a personal and professional level since the previous solo album “Come Somewhere” in 2004. How much does the song-writing on “Love & Scars” reflect those experiences? JERRY – Everything I do hopefully reflects a part of who I am. Whenever I write a song or write a story or play the drums I feel that I’m giving all I have to give. So it’s very natural for all that I’ve been through to be reflected in one way or another throughout this record. NI ROCKS – You’ve quite a few guests on the album including Billy Sheehan and Phil Keaggy. Your King’s X bandmate Doug Pinnick and yourself had been members of the Phil Keaggy Band back in the late 70’s. Was recording the album almost like getting some old friends back together in a room to play some music together? Or was everything recorded remotely with people in different studios? JERRY – It was great to sit in a room with Phil and watch him create magic again. It was especially exciting to see him do it with my music. Phil’s a great talent and a beautiful person. We also sat with Earl Slick as he created his magic. They are both totally different players and they both brought exactly what was needed for the songs they played on. I wasn’t there to see Billy’s magic but it almost feels like I was. He again laid down the most perfect bass for the songs. I am honored beyond words to have such great talent and feel on this record. Everyone who contributed performed and gave of themselves even further than I had hoped. JD Desrevio, Andee Blacksuger, Bob Burger, Topher Nolen, David Parks, Matt Gray, Matt Farley, John Farley, Virus and even my son Joey all helped to make this record very special. NI ROCKS – How long did it take to record the album once you got started, where was it recorded and who did you work with on the production and mixing end of things? JERRY – I’ve been working on this album for several years now with my good friend D.A. Karkos. I think we first got together somewhere around 2005 or 2006 to record some music. From that first time I knew we had to make a record together. It’s been a long process and we’ve both learned a great deal along the way. Dan is a great singer and plays guitar and bass as well. He has a great sense for arrangement of songs too. I feel I can bring a simple unfinished idea to Dan (I call him Dan) and from that it will turn into the very song that I could have only hoped for. I love working with Dan. I’ve never felt more comfortable sharing musical ideas with anyone as much as I do Dan. Every idea is worth something to Dan. He also produced and mixed this record. I believe Dan has a great future as a producer and mixer. NI ROCKS – Are there any plans for performing tracks from the solo album live as part of a tour or even in a limited number of shows? JERRY – We are talking about this. I would love to do some shows. I feel as though we really need to. So as of now we have nothing planned but we are definitely talking about it and actively pursuing it. NI ROCKS – If we were getting you to pick three tracks from the album to play on the radio, which three would you pick and why? JERRY – I love every track so that’s a very hard one for me but I’ll try. I’d say Far Away, This Picture and No More Yesterday or Hypothetical, Waking Up, and Never Ever Know or maybe Sandy, Patty’s Song and Paradise or perhaps Sad, Girl in the Warehouse and Goodbye Song...I’ll have to let you decide. I think they should all be played on the radio. 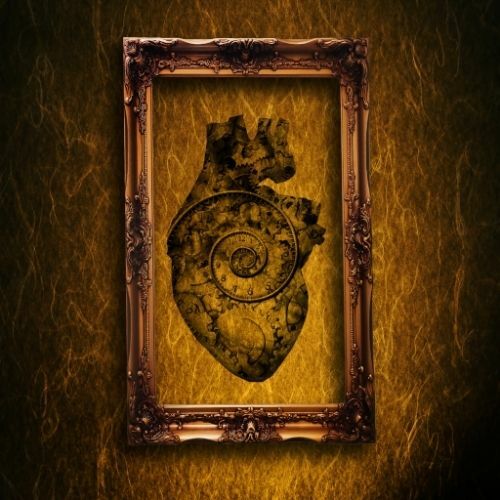 NI ROCKS – The last studio album from Kings X was back in 2008. It was announced earlier this year that now that the band was back touring, a studio album would be coming shortly. Can you give us an update on plans for recording that album and getting it released? JERRY – We have been discussing a new record. We will most likely get together sometime in 2016 to further make plans for this to happen. I just want to really be ready for the next King’s X record. I want it to be the best record we can make. NI ROCKS – Doug Pinnick and Ty Tabor have a long history of releasing solo album and working on other material. Is that something that you’d like to do more of yourself over the next few years; or do you think Kings X will be the main focus of your attention? JERRY - I just want to keep making music. I love making my own records. There is a freedom and satisfaction there that only relies on me. I like that. I also love King’s X. King’s X has afforded me the opportunity to make my own records. I just want things to be feel right. I’ve learned that if something is too difficult and causes undue stress then it is most likely not in my best interest to pursue. So I’d say another King’s X record is a very good possibility in the near future. NI ROCKS – Doug released an album with George Lynch and Ray Luzier through Rat Pak Records in 2014. The band was called KXM. Is there anyone in particular that you’d like to work with on a similar kind of project? JERRY – My wife and I were having dinner at JD Deservio’s (Black Label Society) house one night back in December of 2014. My son Joey was in town and joined us that night. I had recently had double bypass surgery in September of that same year. He was showing us his studio in his basement and there was a set of drums there. I hadn’t played the drums at all since the surgery. As soon as I saw them I felt a strong urge to play. So I did. I just started playing beats off the top of my head and JD recorded it. From there he laid down some keyboard ideas and my son Joey laid down some vocals. We loved the vibe and soon after that we invited Andee Blacksugar to join us to jam. He did and the cool vibe continued. So I wouldn’t mind us getting back together to finish up some of those ideas and create some new ones. NI ROCKS - Do you work with or provide lessons to young drummers? If so, what advice do you give them on being involved in the music business these days? JERRY – I have never done that. I’ve never taken lessons and I’ve never given lessons. The only advice I can give to anyone is to follow what feels true to you. I think music is a type of gift. If it’s something that has been given to you then you will do it at all costs. I’d say if you really want to pursue music as a career then be sure that is who you are. Music can be a hobby or it can be your life. If it’s your life you will know. It’s almost as if you have no choice. And that’s true of whatever it is that really comes from what’s undeniably inside yourself. NI ROCKS – Are there any drummers around at the moment that particular impress you? JERRY – I don’t really follow or listen to drummers that often. There are many, many great players out there for sure. I’ve always loved Shannon Larkin. I even asked him to play one song on Love and Scars. He was excited and ready to do until the very last minute. He called me and seemed disappointed and a little sad that he wouldn’t be able to do it. Godsmack was going into the studio at the same time and he had to do that. I understood but I really did want him on this one song. But I ended up doing it and I think it turned out alright. It was This Picture. NI ROCKS – Final question. I was wondering what music you listen to yourself. What do you listen to on your iPod, stereo or whatever? NI ROCKS – Thanks again for taking the time to answer a few questions for Rock Radio NI. Good luck with the new album and best wishes for the future. JERRY - Thank you and all my love to everyone.